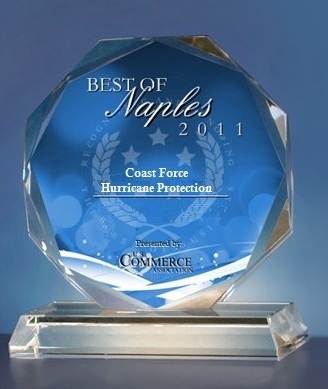 Coast Force Hurricane Protection has been selected for the 2011, 2012, 2013, 2014 & 2015 Best of Naples Award in the Window Installation Contractors category by the U.S. Commerce Association (USCA). 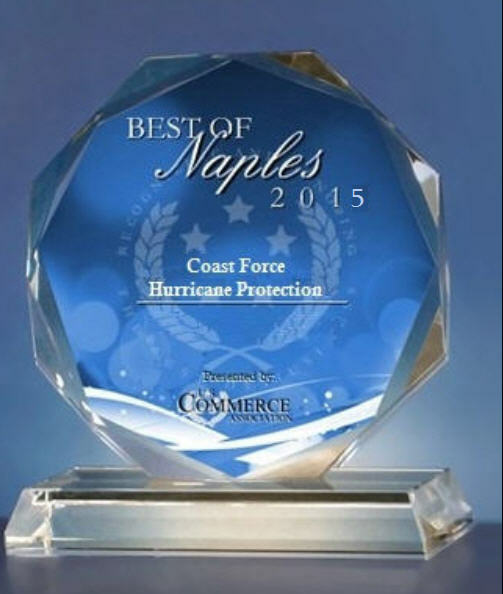 2015 Naples Business Hall of Fame! 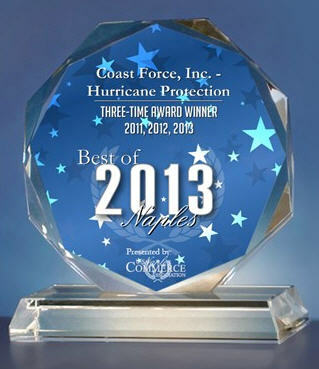 Coast Force, Inc. - Hurricane Protection is among a very small group of companies that have won the Best of Naples Award for five consecutive years. This distinction has qualified Coast Force, Inc. - Hurricane Protection for the 2015 Naples Business Hall of Fame. Each year, in and around the Naples area, the Naples Award Program chooses only the best local businesses. We focus on companies that have demonstrated their ability to use various marketing methods to grow their business in spite of difficult economic times. The companies chosen exemplify the best of small business; often leading through customer service and community involvement. Born and raised in Switzerland, completed private elementary & High School in Switzerland. Dionys welcomed the mandatory 8 years in the SWISS ARMY then went on to get his Diploma in Construction, Glazing and Business-Relations. Dionys worked for over 13 years in his family owned and operated construction company, a well established, highly successful three (3) Generations Firm in Switzerland before moving with his family to the United States where he has lived for almost 20 years. He has a wife, Karina and 3 beautiful children, Nina Emilia, Ariana Sophia & Mateo Alexander. Dionys dedicates his superior skills, work ethic, fairness, precision & professionalism with all his heart in his own Firm. Dionys and his crew quickly established an excellent reputation for being fair, honest, affordable all while providing superior Swiss precision installation and quality products. A family owned business, Karina, his wife is the Office Manager and customer service director. Dionys serves East and West Coasts of South Florida, he is a state certified contractor (CRC 1330352) and has 10 certified installers that currently work exclusively for Coast Force, Inc.. We are more than capable to provide you with our outstanding, excellent customer service. Dionys and his wife speak: Swiss, German, Spanish, Italian & French. Born and raised in the United States of America. Mike is a 30 year veteran in the Construction Business. His resume is impeccable and he has more successful records under his belt than anybody. He supervised and was in charge building the 5 tallest Highrises in Miami, Florida, which includes the tallest in South Florida, The FOUR SEASONS HOTEL in Miami, Florida. 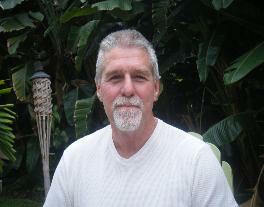 Mike is a CERTIFIED FLORIDA GENERAL CONTRACTOR, OSHA certified, CERTIFIED FLORIDA BUILDING INSPECTOR. He is in charge of our NORTH FLORIDA ( Panhandle) operation and has already established a great business and customers relation ship for COAST FORCE. Mike lives in Alligator Point Florida, with his wife Linda, who is the Office Manager and customer service director. They have 2 children, John & Rachael. He is looking forward to hear from you soon. Copyright 2010 Coast Force Inc. All Rights Reserved.